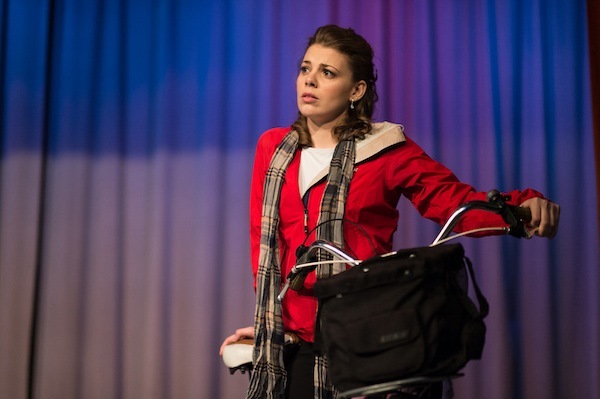 Performing with Bicycle Opera Project for the first time, mezzo, Marjorie Maltais reflects on singing new music, her roles in Travelogue, and her bicycle personality! What do you like about working on music that has never been performed before? There is something special about opening the score for the first time and knowing that you’re the first one singing it. You get a full sense of ownership of a role that only new music can provide. Who are you playing in Travelogue? I will be singing the role of Lucy in April, a very cautious women, worried about unfolding events in her life. In My Mouth on Your Heart I play Death. Death is calming and peaceful yet, very insistent and manipulative. And finally, GroundWorks Communicator in Waterfront, at her wits end trying to get seemingly child-like astronauts to actually land on Mars. Any surprising facts about yourself? All the ski trips with my family! Easy… I would be a teal vintage style bike! You can read Marjorie’s full bio HERE. Travelogue closes tonight at 8pm at Arts and Letters.